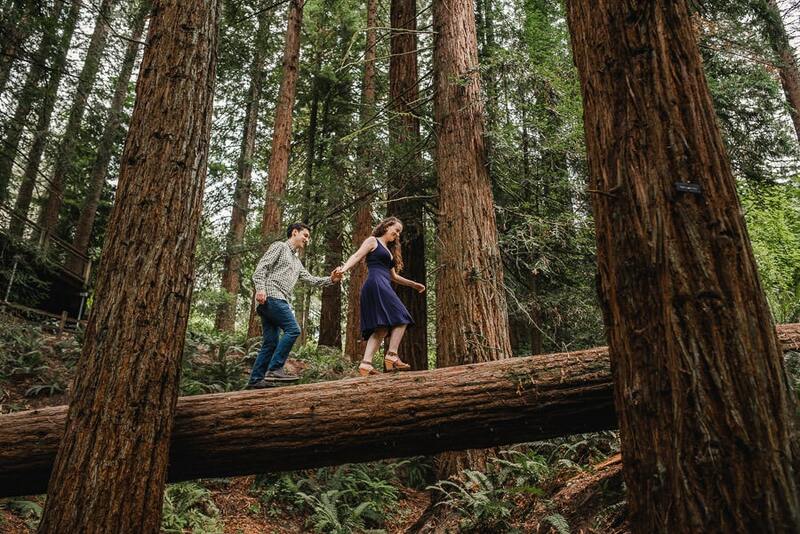 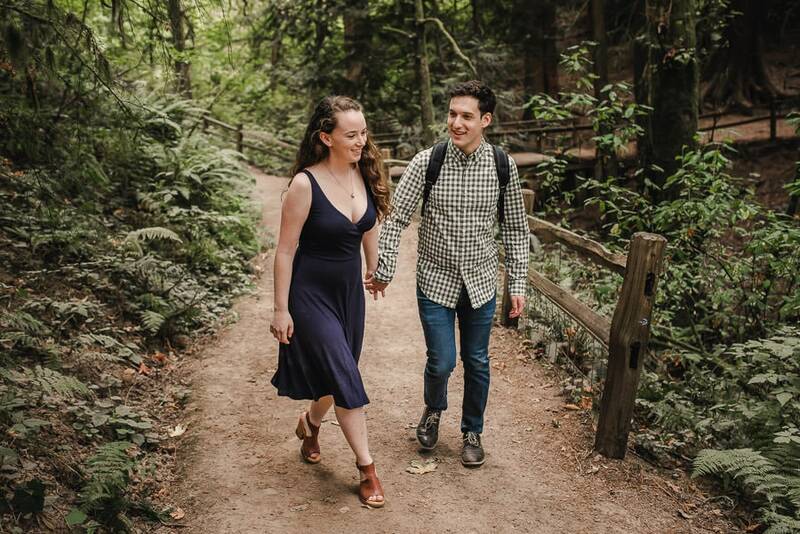 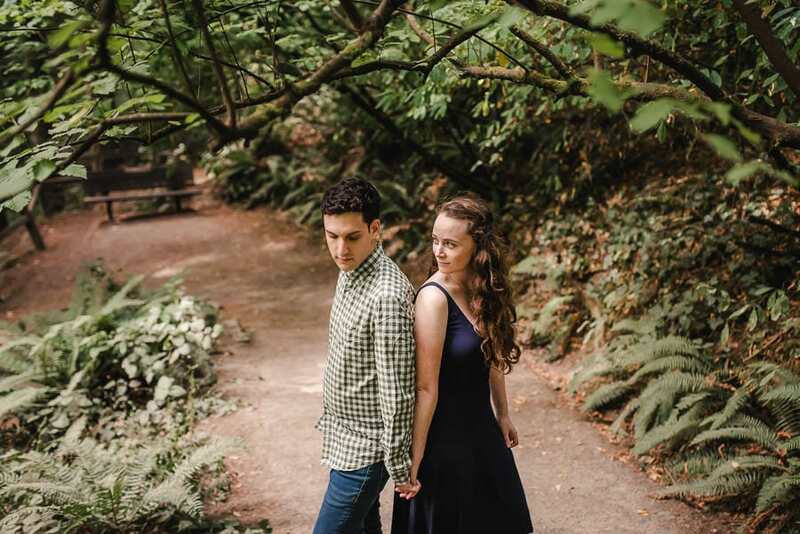 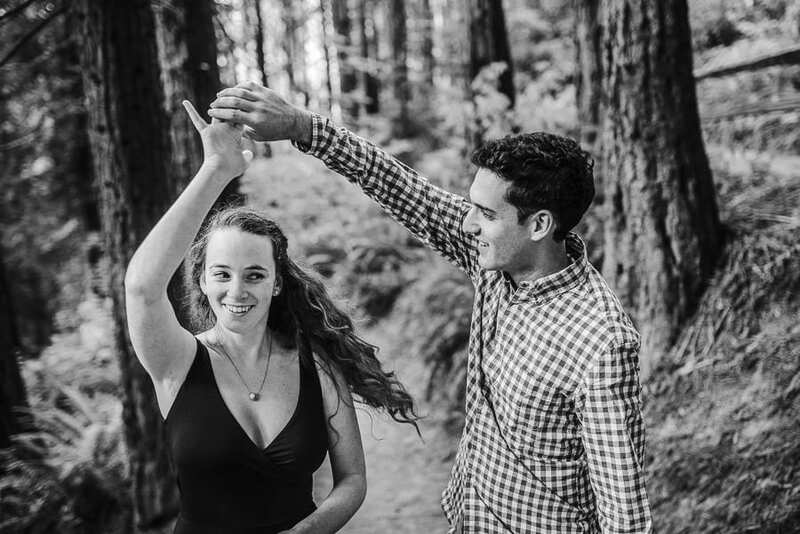 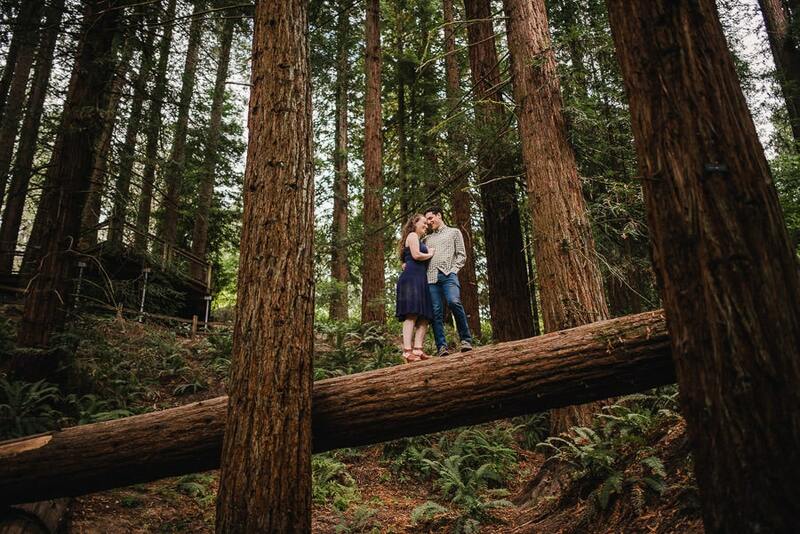 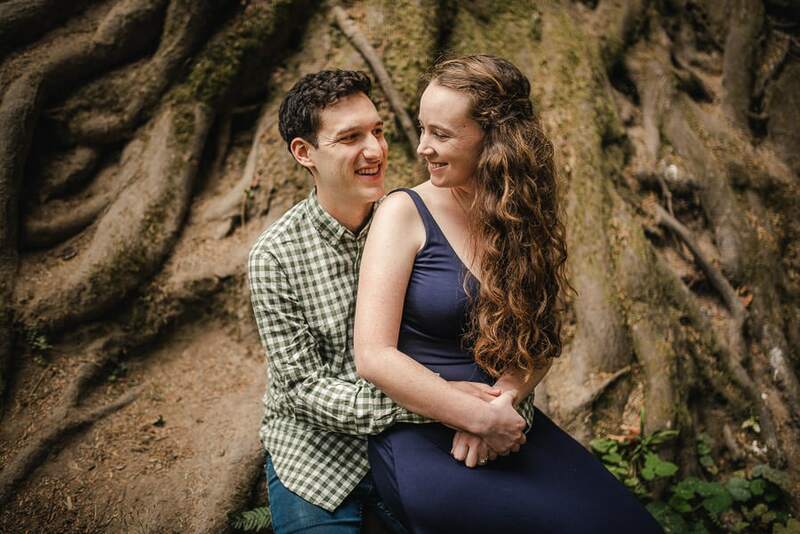 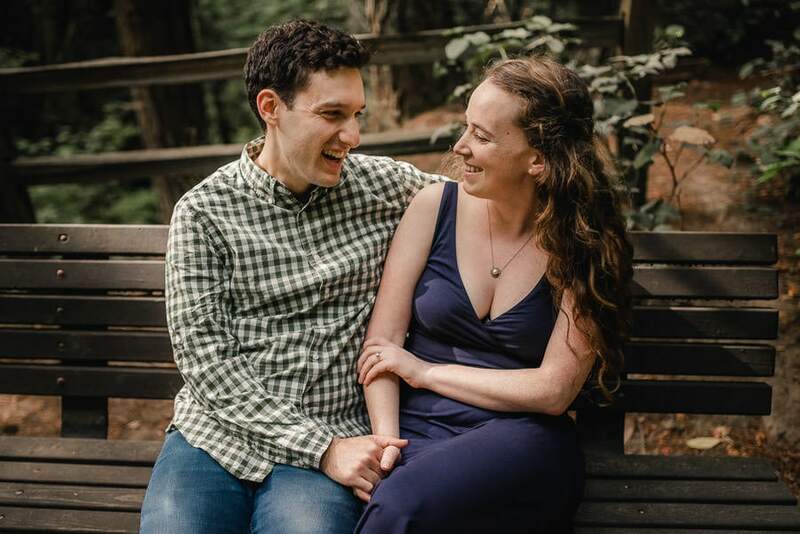 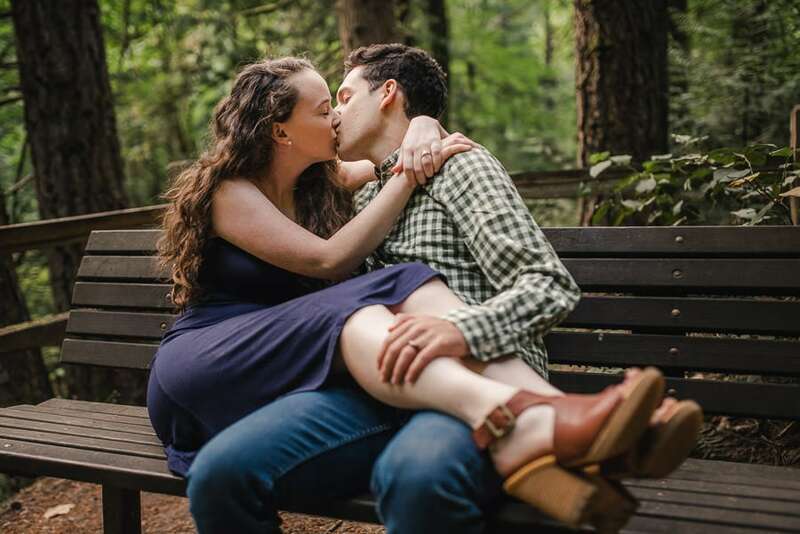 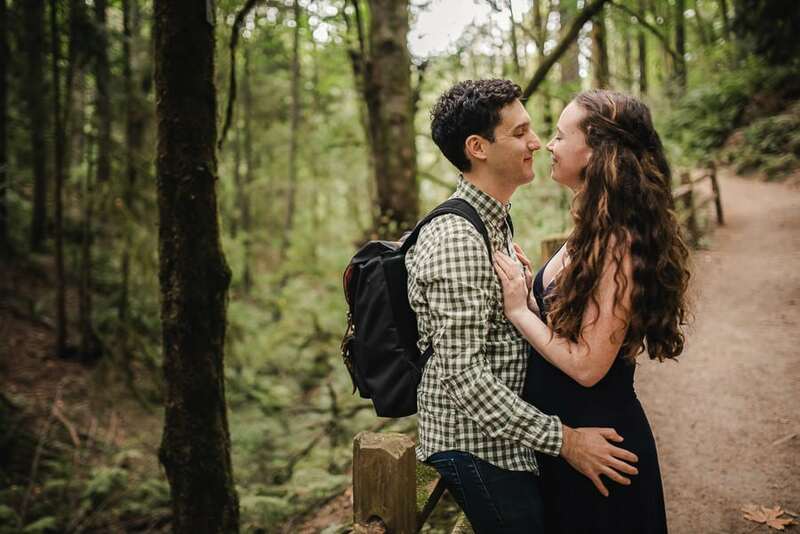 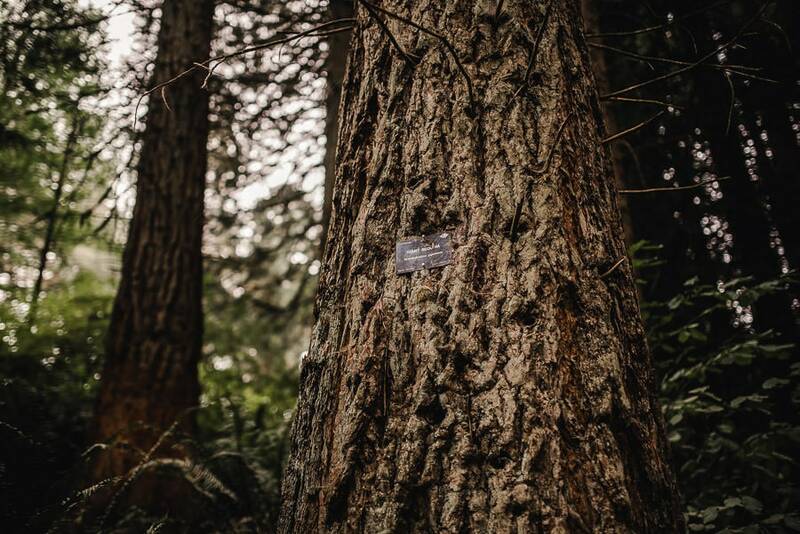 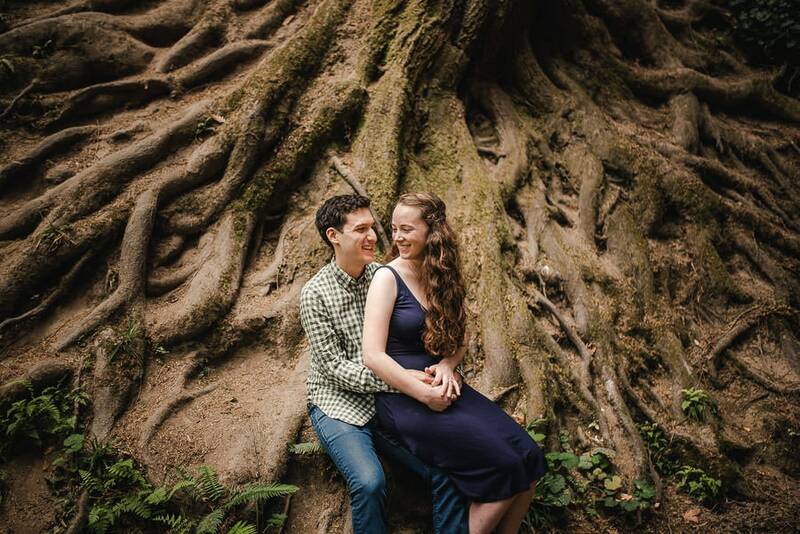 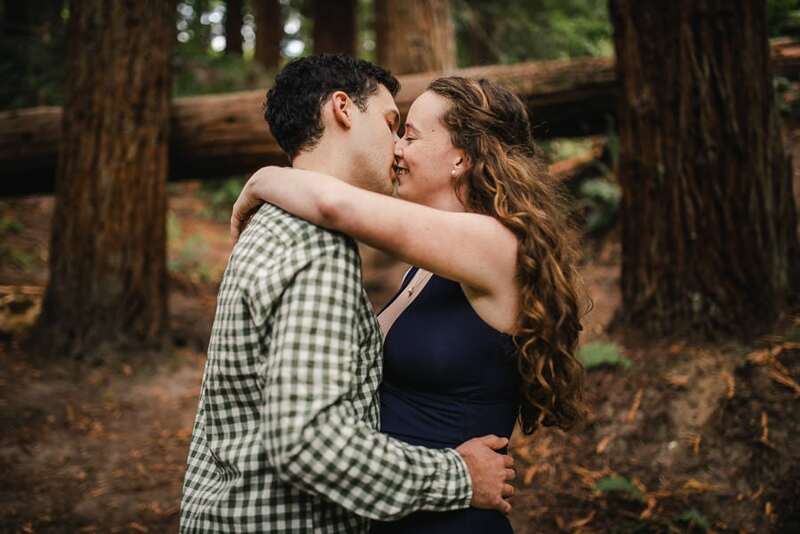 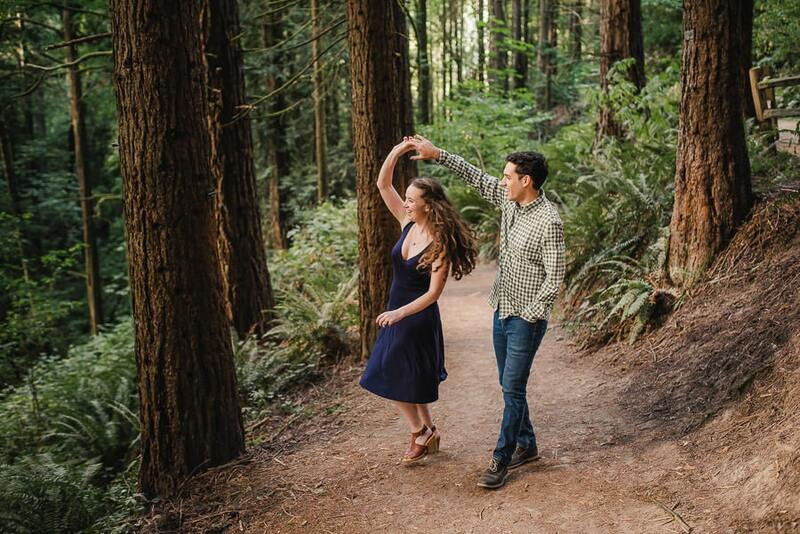 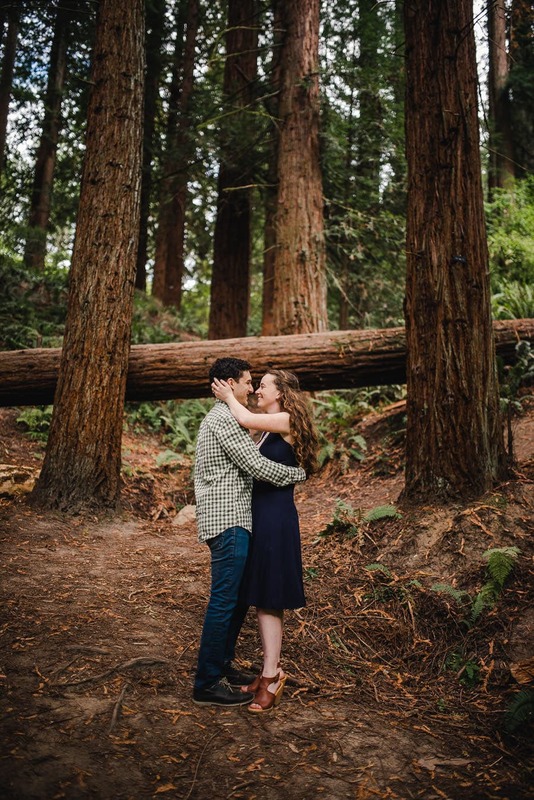 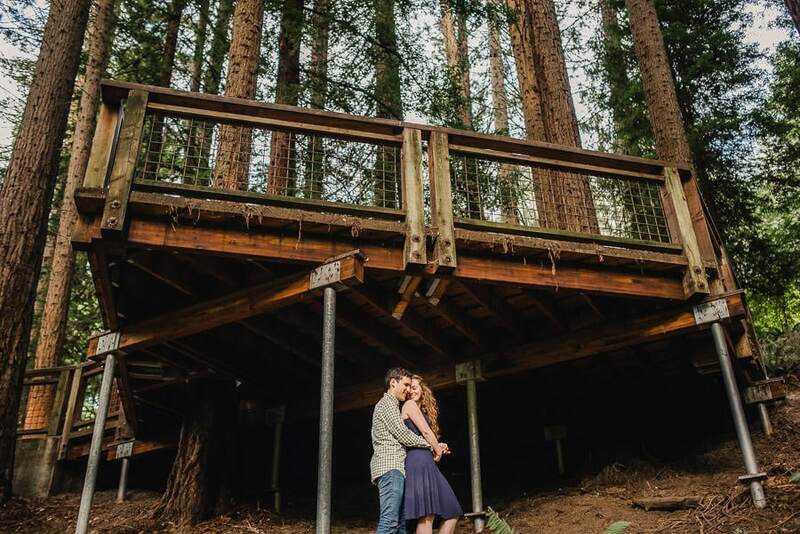 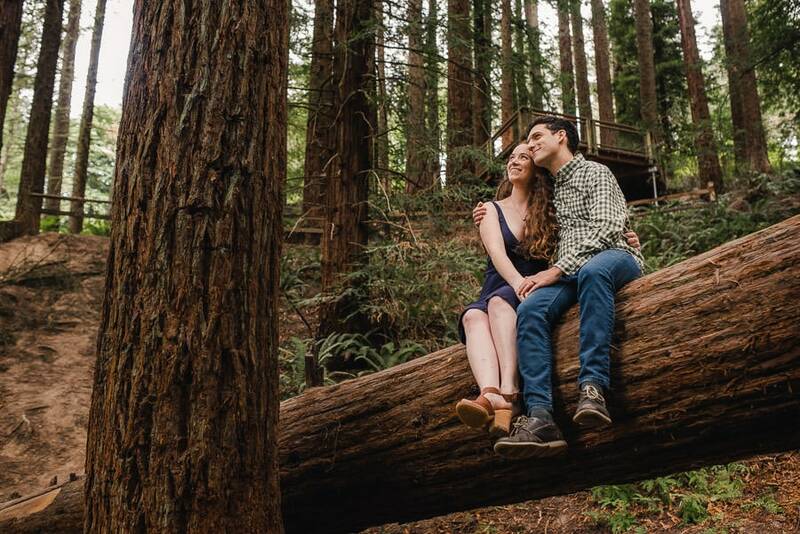 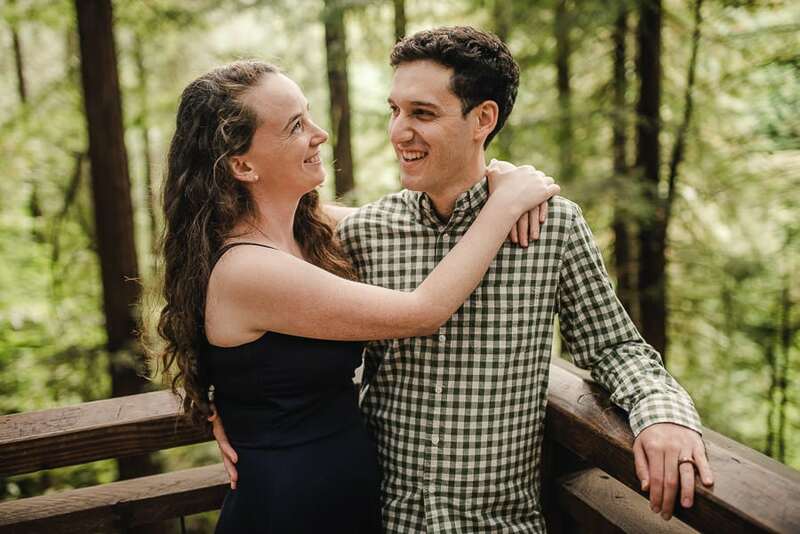 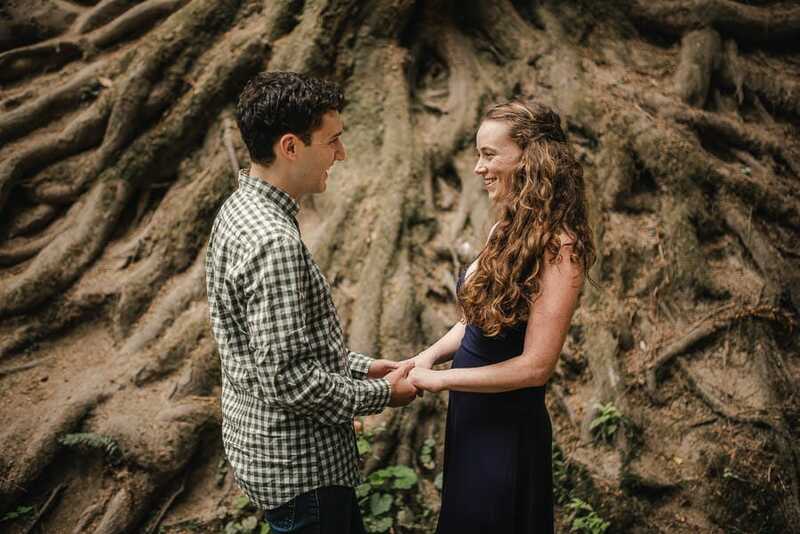 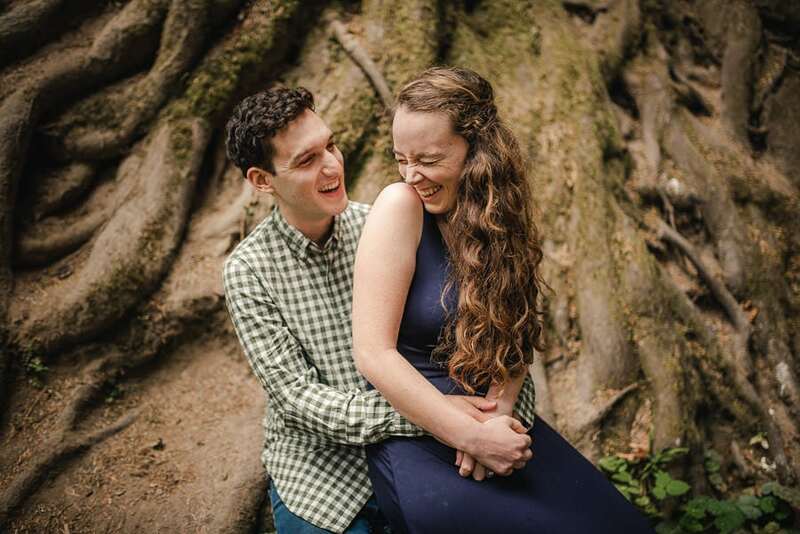 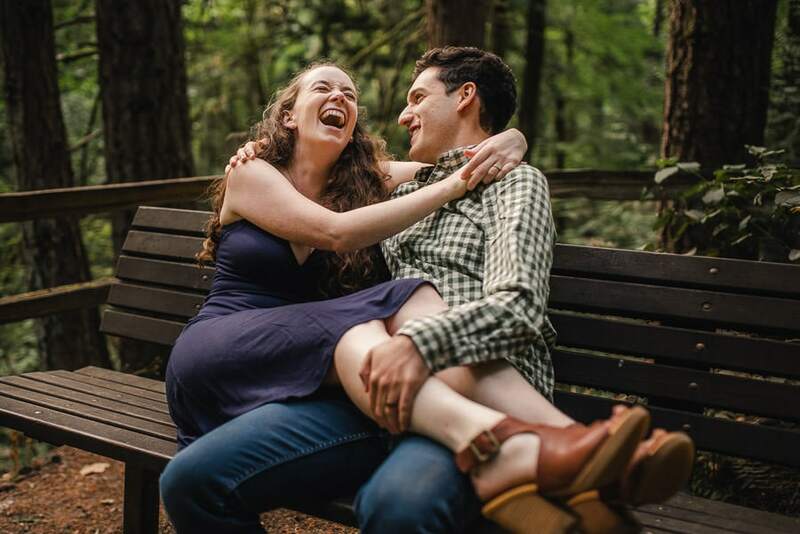 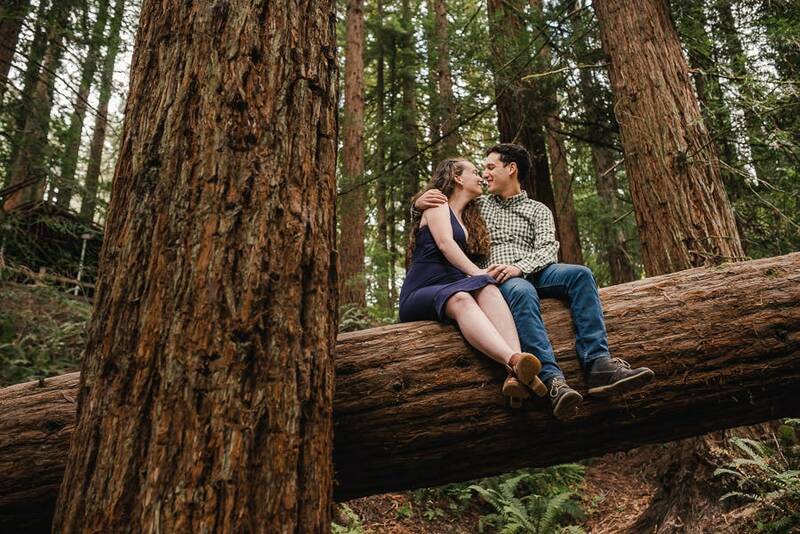 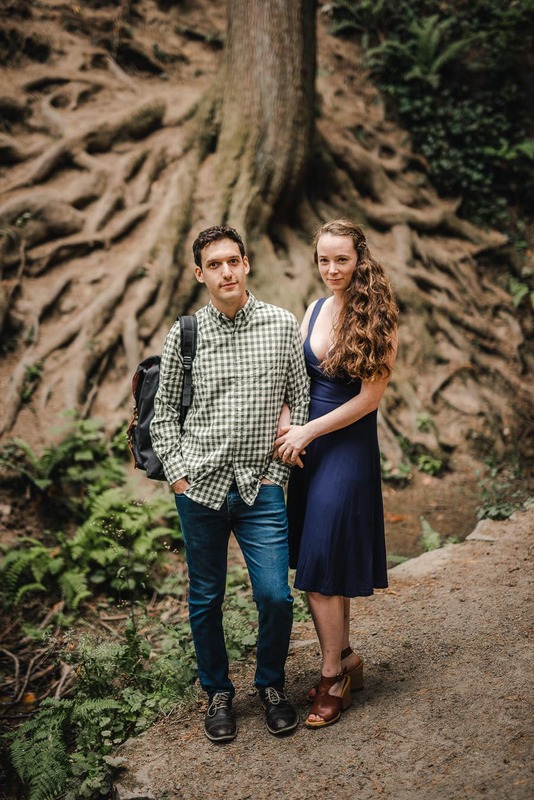 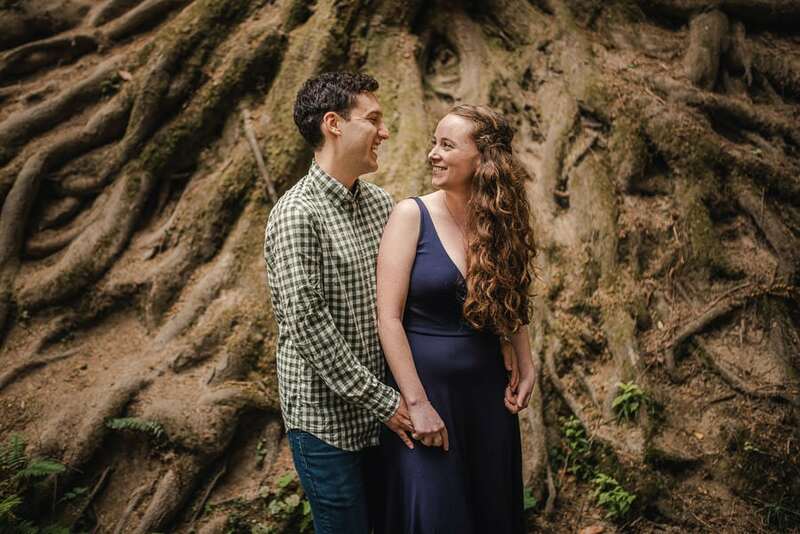 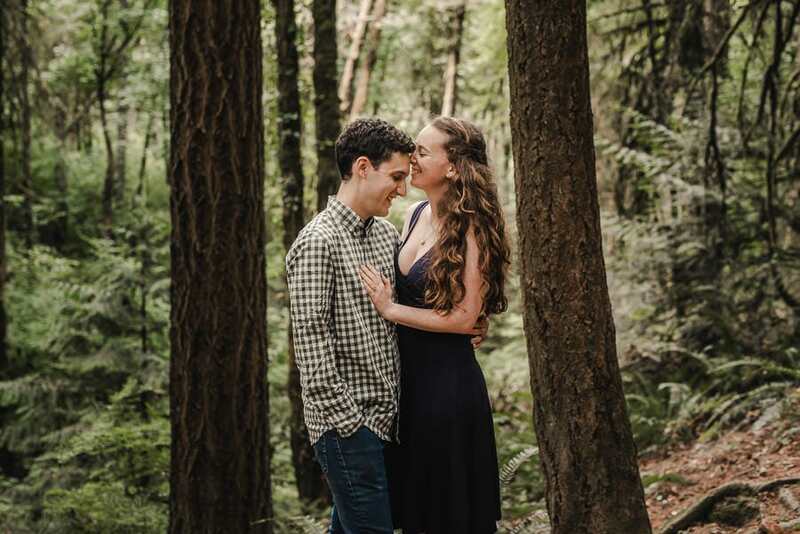 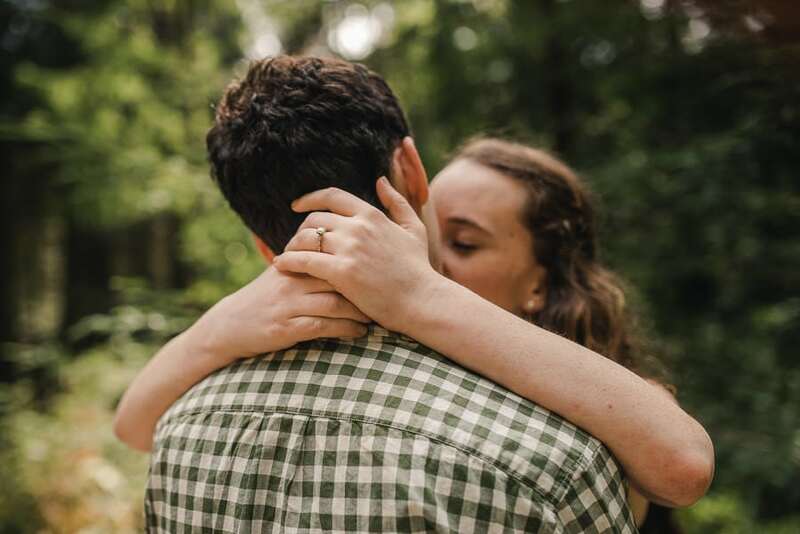 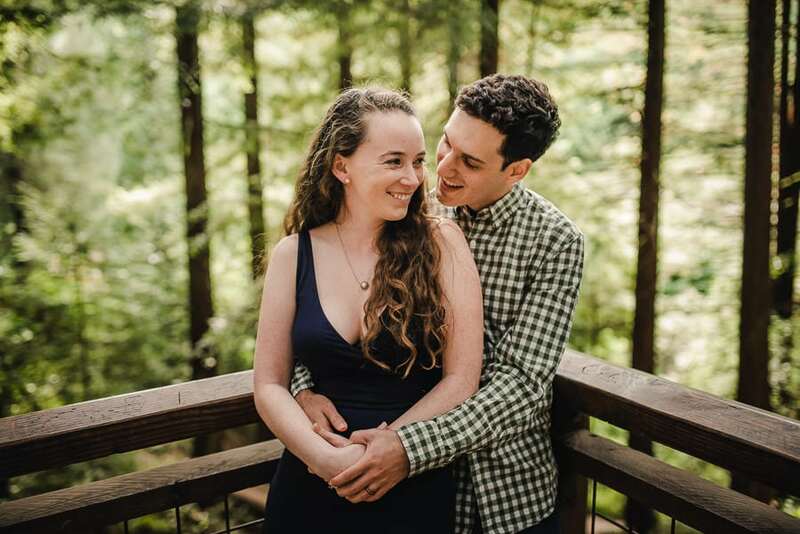 The Redwood Deck in Hoyt Arboretum is one of my favorite places in Washington Park for an engagement session. 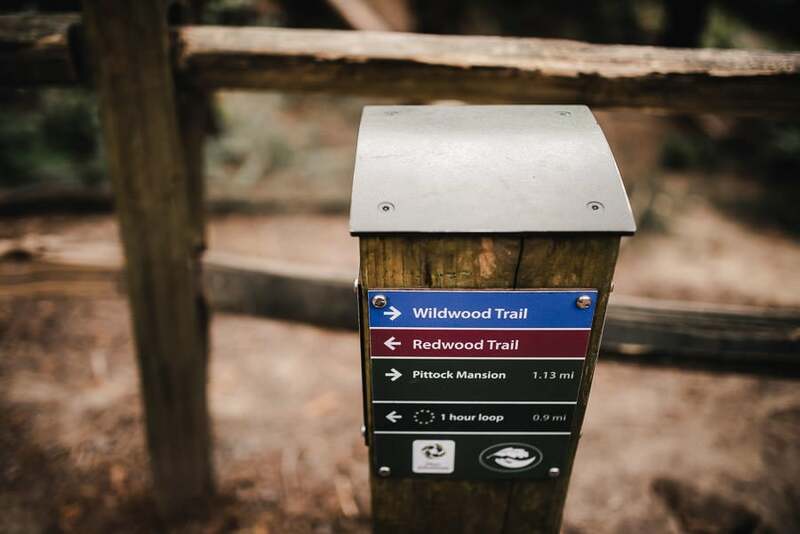 I often find myself returning to this spot. 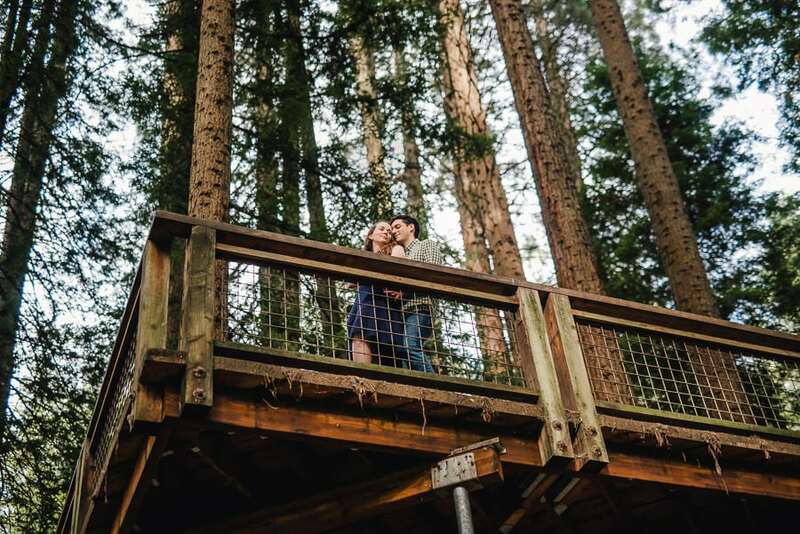 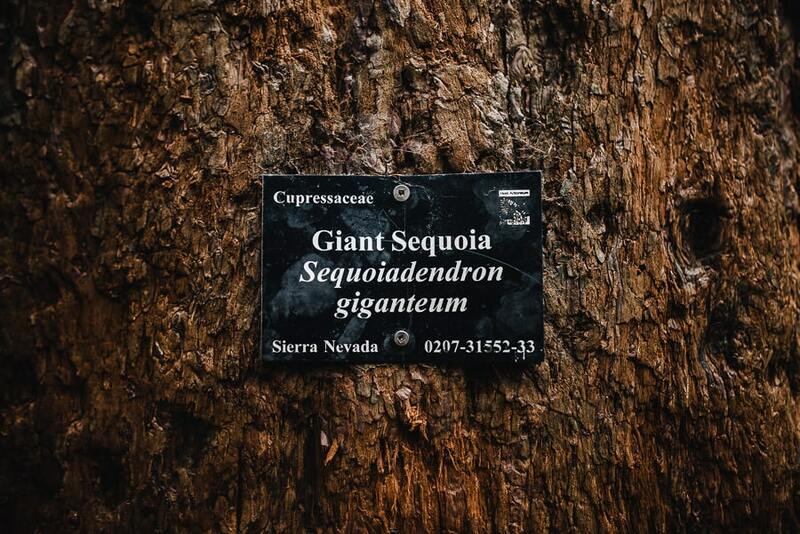 The red color of the giant sequoia trees’ bark lends the forest a warm glow that’s incredibly peaceful, and standing on the deck being surrounded by these redwoods is inspiring. 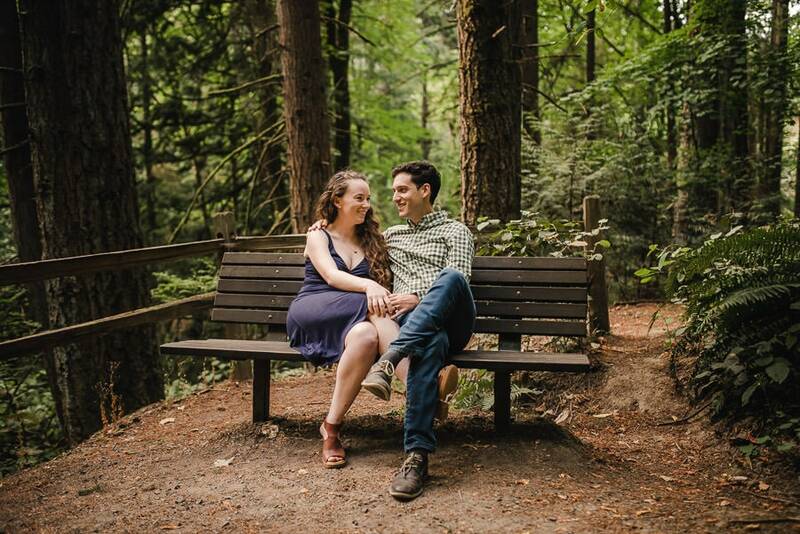 This is one of the big reasons why I like to take couples to this area of Hoyt Arboretum. 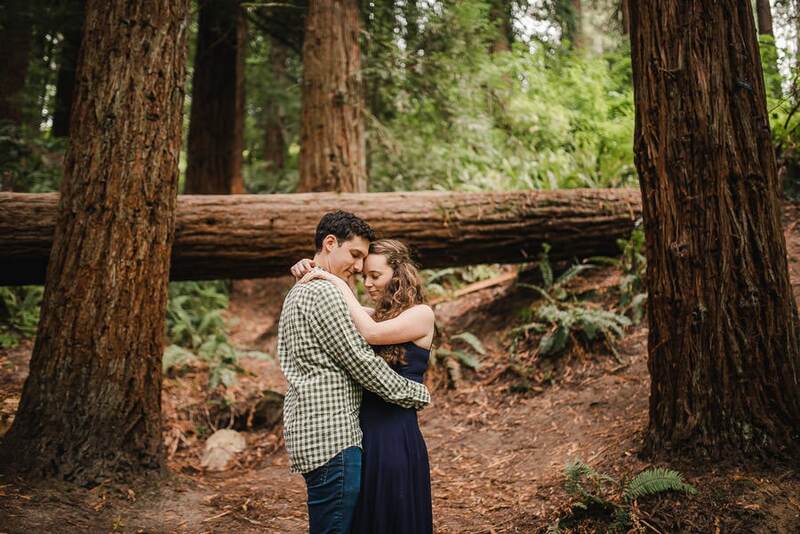 There are many beautiful spots in the park, but for me this place has the most character. 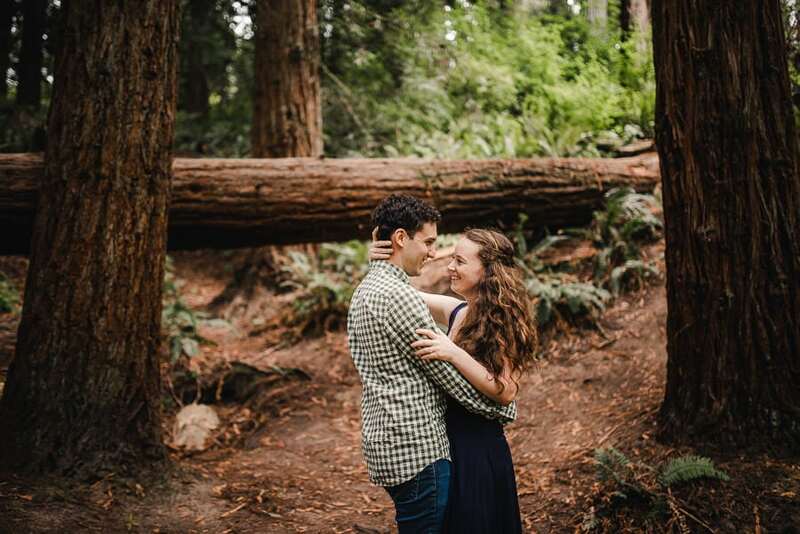 When Tatum and Jared requested an engagement session location surround by trees, I knew this had to be the spot.